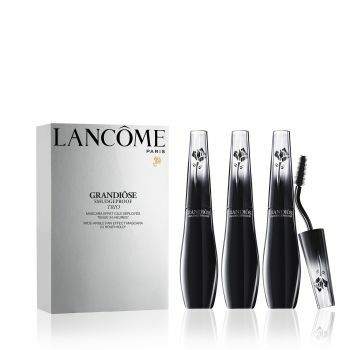 Grandiôse lash transformation: fanned-oud lashes, divine curves. Lancôme reinvents its mascara and unveils a new application technique that effortlessly creates perfectly open, full and even lashes for a wide-angle fan effect. Captivating, eyes are simply grandiose with this Grandiôse Smudgeproof Travel Exclusive trio.